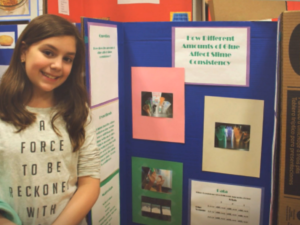 Students in grades three through five from the Miller Place School District recently presented the results of their unique scientific studies during a recent science fair held at the Laddie A. Decker Sound Beach School. Throughout the fair, students and parents visited each student’s presentation board and learned the results of each student’s inquiry. After learning about computer graphing in class, the students’ individual experiments were researched and developed at home. Students were provided journals to document their data in an organized fashion with the standards being aligned with Brookhaven National Laboratory (BNL) rubric. The projects focused on a range of disciplines including physics, chemistry and biology. Approximately 30 Miller Place High School students in upper-level science courses were the judges for this event. 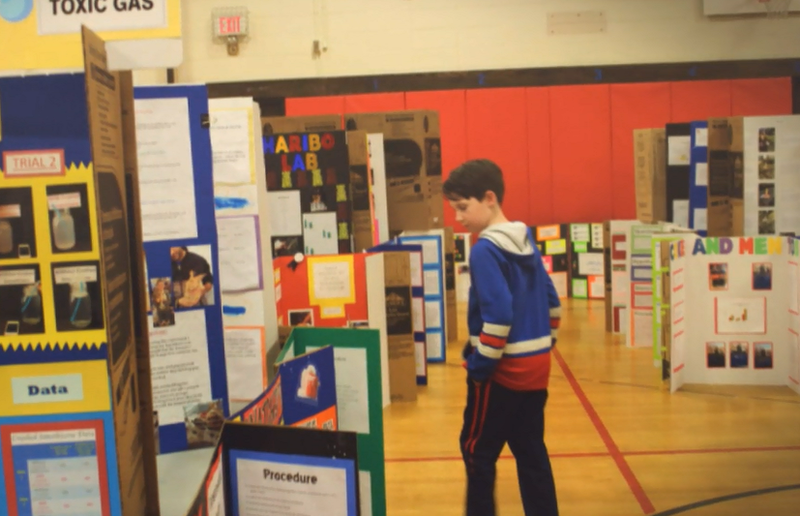 This tradition has been carried on since the inception of the science fair. This year more students volunteered to judge than ever before. In addition to the selection of finalists to present at BNL, student awards were presented in each classroom for a variety of categories, including Most Detailed Journal, Most Surprising Results, Most Artistic, Most Interesting Research Question, and Best (in class) Presentation. These awards generated increased student and parent excitement alike.